At this year's Oktane19, Okta announced the launch of its new $50m investment fund, Okta Ventures which will help solve challenges across the modern technology landscape with an emphasis on identity, security and privacy. The company's new fund will focus on investing in businesses that are building innovative solutions using emerging technologies such as artificial intelligence, machine learning and blockchain. Okta Ventures will seek out startups which share its vision of enabling organizations to use any technology. 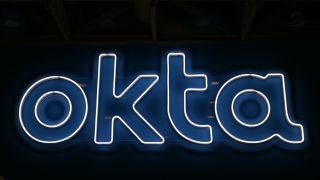 In addition to investing in these companies financially, the fund will provide them with access to Okta's software, SDK and API design partnerships as well as co-marketing opportunities. Okta Ventures will emphasize modern identity architecture design and adoption with its portfolio companies who will also make contributions to the Okta ecosystem which will help bolster the value of the Okta Integration Network. Blockchain-based digital identity company, Trusted Key is a perfect example of the kind of company Okta Ventures is looking for which is why Okta also announced its first investment in the firm at Oktane19.